I have a lot of experience with Fairy Fencer F and Fairy Fencer F: Advent Dark Force. The original PlayStation 3 release was the first game I reviewed in an official capacity, and as such I've always had fond memories of it, even if the original release was nothing really to write home about. However, the upgraded re-release - which I'd argue was what the game should have been to begin with - is an RPG that I can whole-heartedly recommend. I think I've played the game on every platform it has released on at this point, so I was curious to see how the game's new Switch port would hold up, especially considering that the original PS3 release didn't exactly run very well to begin with. Advent Dark Force remade and added some dungeons to better take advantage of the PlayStation 4's hardware and thankfully the port - while it certainly isn't perfect - more than holds up. If you're just interested in how Fairy Fencer F: Advent Dark Force is as a game, while my personal opinions are a tad more positive than Zack's in our original PlayStation 4 review, you'll still learn all you need to know about the game's content by reading that review first. So let us talk about the port's technical details instead. I feel like I should stress that before launch, I had my trepidations about the port. The initial build that we received had numerous bugs, an overly aggressive dynamic resolution, and a particularly baffling framerate when running the game in handheld mode. Most of those issues have since been ironed out in an early patch, and any issues I had with the game's performance in handheld mode are now moot. Prior to the game's patch, performance in docked mode was still rather poor, but otherwise excusable compared to the performance in handheld mode. 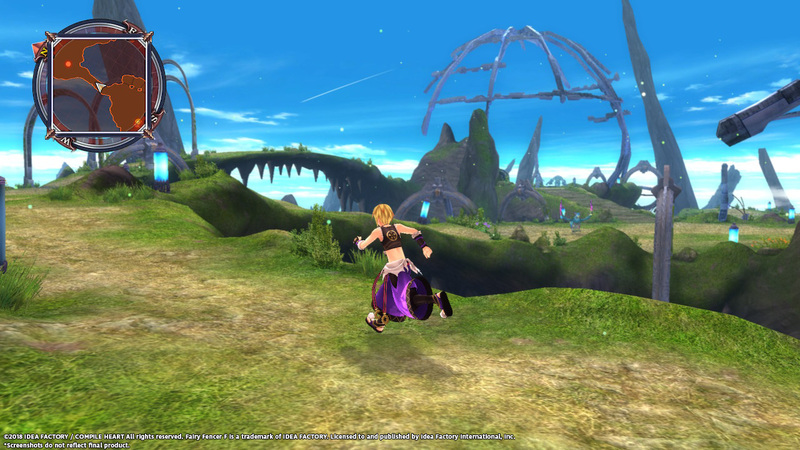 The overall framerate seemed to be just below that of the original PS3 release, for comparison. Post-patch the game's docked performance has improved to the point where it's above the PS3 version's performance, though the overall framerate does still dip below 30FPS in some scenarios. 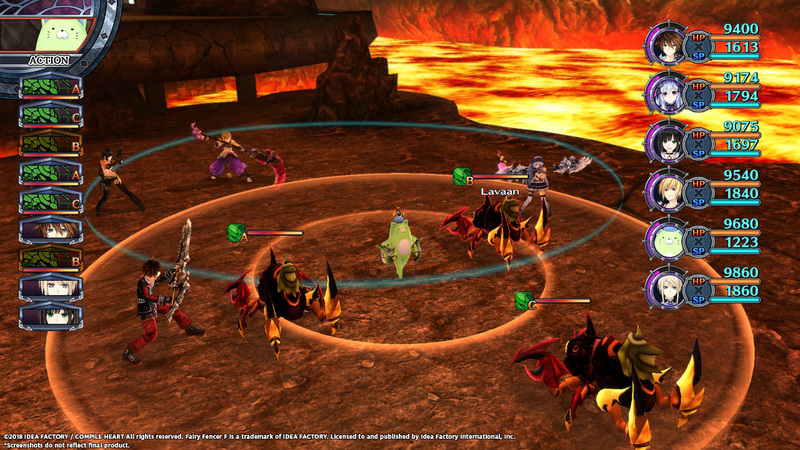 The resolution has also improved in places such as the world map, in dungeons, and during battle. 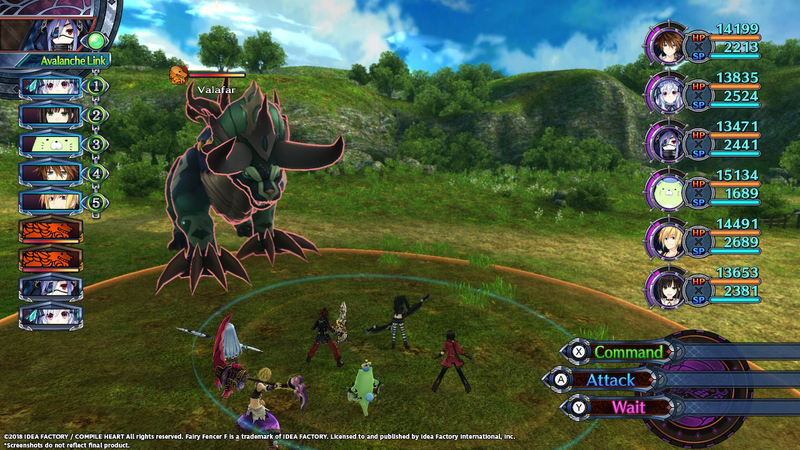 Handheld mode is probably the main reason someone might want to get this version of Fairy Fencer F, unless they don't own a PS4 or a relatively capable PC (though, the PC port will run well on even modest hardware) - so it's decidedly appropriate that the game's overall performance seems to be better while playing in handheld mode. The framerate is smoother, and the resolution - while lower - seems to be closer to handheld mode's native 720p resolution than docked mode's 1080p target. One other noticeable performance difference between the PS4 and PC releases and this Switch port comes to loading times when entering dungeons and moving between areas within them. It's nothing major, but upon loading into the dungeon, you're unable to move for a second or two as enemies are spawned in - it's nothing egregious and not something that would stick out to anyone that hadn't played one of those other releases before. The Switch version also features less save slots than the PS4 release, 4 instead of an essentially unlimited amount on PlayStation, but playthroughs themselves are relatively quick and there isn't much reason to have any more save slots - so I consider it an interesting change, but not exactly a major one. The Switch does support rumble functions, but as far as I could tell nothing was specifically tuned to make use of HD Rumble. 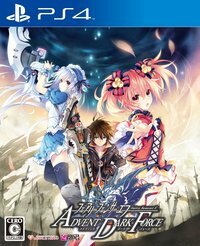 When it all comes down to it, Fairy Fencer F: Advent Dark Force's Switch port is probably not the best way to play the game, but considering that the performance itself is perfectly fine in most scenarios - especially in handheld mode, you can't go wrong with picking this version up if you're specifically looking for a more relaxed JRPG to play on the go. Ghostlight's first Switch effort is a solid showcase, and if nothing else leaves me excited to see what other titles the company can bring to the platform moving forward.